Whether you want to refresh your scent repertoire for a new season or simply want a fragrant change from your usual bottle, here are 7 tips on how to find – and properly wear – the perfect aromatic brew for your next signature fragrance. 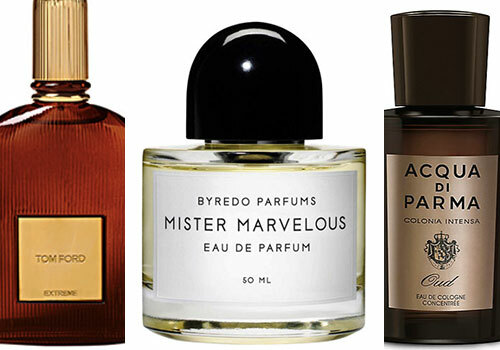 Fragrance is a highly personal, invisible accessory that should reflect your individuality. Just like your clothes, the right scent should be solely about you, be a great pleasure to wear, and help express who you are to the world. Never buy a scent with the focus on pleasing others, no matter how much your girlfriend loves it on other guys or how appealing its bottle design or advertising. Set the intention on pleasing yourself first, and others will naturally find it pleasing as well. Before fragrance shopping, make sure you don’t have any other fragrance on that would mingle with the new ones you’ll be testing out. Showering with an unscented shower gel or soap is best, but if yours has a scent (which is likely), the second best thing is to make sure it’s not too strong or it has worn off significantly before you head to the store. A scent profile is the overall essence of a fragrance and what you prefer says a lot about your personality. It spans from light and fresh to deeply indulgent, from bright citrus, fresh greens/herbals, outdoorsy smells like forests or the beach, to spicy and exotic, warm woods and incense, and rich leather and tobacco. If these descriptions are too obscure for you, simply point to a bottle that has an overall scent you like and ask the person at the counter for similar suggestions. Next comes the decision on the strength – or in liquor speak, the ‘proof’ – of the scent. The more pure perfume oil in a bottle, the stronger the concentration, the longer it will last on your skin, and more expensive. The stronger the scent, the less you need, or else you risk bombing the room and gagging yourself and everyone around you. EDT and stronger strengths need no more than a drop or two (or a couple of very conservative sprays) on your ‘pulse points’, places like the underside of the wrist, neck or chest where you can feel your pulse. The warmth of these points helps carry the scent and makes it last. The less concentrated versions can be used more liberally and are often worn together (e.g., aftershave on the face with cologne on the body) for a layered effect that, when combined, makes the scent last longer. Just be sure not to overdo it. Now that you have a good idea of the kind of fragrance and strength you prefer, it’s time to try some out. I recommend testing 2, and no more than 3 or 4, scents per shopping trip, or your head might blow up from sense overload. First, try the scent on a tester strip or take a whiff directly from the bottle to check if you like how it smells on first impression. Make sure you never touch your nose onto the strip or bottle while sniffing, as the scent molecules will stick to your nose and disrupt the rest of your testing. If you want to go forward after the initial sniff, lightly dab directly or spray the potion on the underside of your wrist (the ‘pulse point’) from about 5 inches away. Repeat on the other wrist if there’s another scent in the running. If you must test a couple more, make it the creases of your elbow, where it’s warm and functions much like the pulse points. Once the scent(s) is on your skin, don’t rub it in! Rubbing prematurely breaks down the oils, causing it to not develop properly and shortening its life. Simply let it dry and set on its own. After applying on the skin, a fragrance takes at least 15 minutes to start gradually developing with your unique body chemistry in 3 stages. The first stage is the release of the ‘top notes’, which are the initial notes you smell right after application and are lighter than the subsequent notes. After that fades, the ‘middle notes’ follow, which should start creating a more complex olfactory experience. Finally, the process ends several hours later with a ’dry down’ to its final phase, or ‘base note’ – the heart of the fragrance. That’s the scent that will linger until it fades away at the end of its life. The way that the scent mixes and reacts to a person’s body chemistry varies widely. Because it could open up beautifully on one person while turning rancid on another, the only way to know if it complements you is to wait until the final dry down, which can take hours. The best course of action is to spend the rest of the day monitoring how it dries down on your skin before deciding to buy. Better yet, see if you can get a sample to try for a few days to make sure it’s the perfect fragrance for you. Even if there are no samples available, most department stores should be able to make a free sample for you by pouring the tester fragrance into a small vile that will last you several days. Stores like Sephora can make you a sample on any fragrance they have on the floor.